Johannes Cabal was just your average, everyday scientist trying to cure death before he gave up on science and turned to necromancy. To become a necromancer, all he had to do was sell his soul to the devil. Which was fine, he didn't think he'd need it. Turns out he was wrong, though, so he goes to hell to get it back. Only once there, he finds the devil's not so interested in returning it. At least not without making things interesting. So, Cabal and the devil agree on a little wager: If Cabal can collect 100 souls in the span of one year, the devil will return his soul to him. Cabal accepts the challengenot that he really had any choice, unless he wanted to settle for eternal damnationand returns to Earth to discover that the devil haskindly? provided him with a traveling carnival, which Cabal must use in his attempts to acquire those hundred souls. 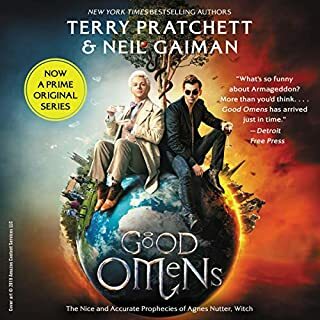 If Terry Pratchett and Neil Gaiman had collaborated on another book after Good Omens, or Christopher Moore had been raised in the UK by devil-worshiping carnies, or J. K. Rowling had decided to write a humorous novel but had a cold, black lump of coal in her chest where a heart would otherwise be, Johannes Cabal the Necromancer is the book they, he, or she might have written. Which is to say a laugh-out-loud funny fantasy, with liberal doses of the devil, darkness, and death. To narrate such a text-one rife with numerous (and challenging) voices and requiring of impeccable comic timingwould be a tall order for any actor, but Christopher Cazenove makes it seem as child's play. 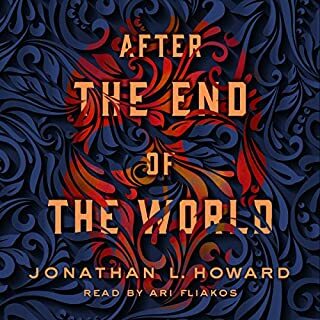 His sonorous British tone matches up with Jonathan L. Howard's prose precisely, and he provides several unique voices, bringing a wide range of characters to life (some of which are dead! ), resulting in a truly remarkabledare I say...flawless? 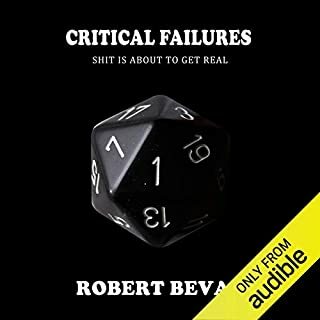 audiobook production. With little time to lose, Johannes raises a motley crew from the dead and enlists his brother, Horst, a charismatic vampire, to be the carnival’s barker. On the road through the pastoral English countryside, this team of reprobates wields their black magic with masterful ease, resulting in mayhem at every turn. Started out really quite good. I enjoyed mostly everything up until he gets back from hell. However, after that it seems to drone on. 2 hours in, somewhere through chapter 4 I was left asking self "will I actually want to listen to this again?". Based on what I heard, it has potential, but the dead parts were too much for me to get through. 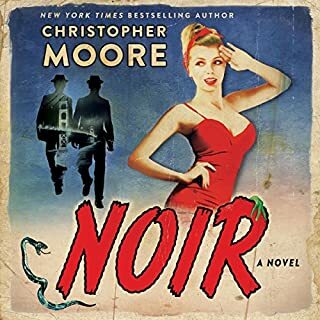 I've loved this story every time I read it and getting to listen to it in Christopher Cazenove's voice brought a wonderful new rendering of the same words for me. He manages to give each character their own persona and often, his rendition of dialog made me relish even more listening to words I already knew and loved! 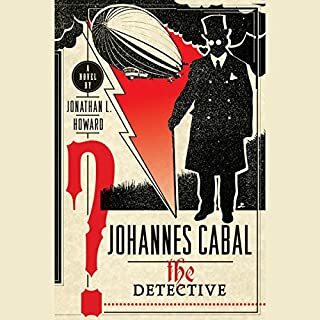 Johannes Cabal represents a brilliant effort at making an evil protagonist both compelling and sympathetic. The humour prevents the tone from becoming too dark and the roster of side characters are memorable. This isn't just a book that has many moments that made me laugh out loud. It's well told narrative with suspense and twists. If it was just a comedy I wouldn't give this five stars. But it's clever, passionate, well narrated and beautifully sarcastic. 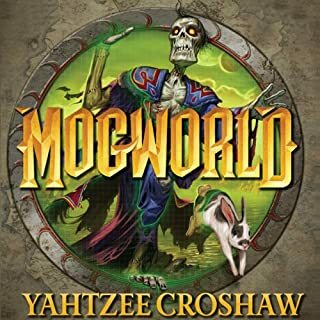 I had as much fun listening to this as I had 30 years ago reading Bored of the Rings or in the 80's and 90's reading Good Omens or the first few Xanth novels by Piers Anthony. 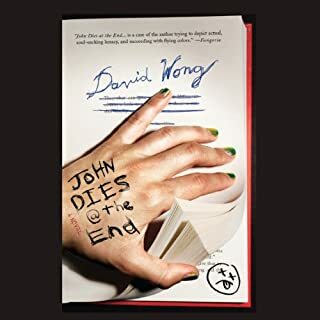 Also, if you like passionately fun novels like Infected/Contagious you also might like this, too. 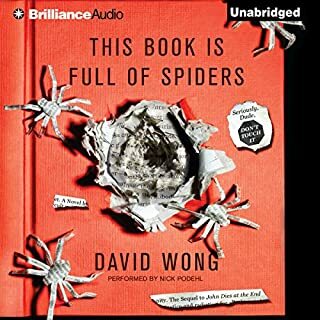 The narrator was just the best that could be for this story. His accents were great, all of them. The story has a solid pace, somewhat like Jonathan Strange & Mr. Norrell, you either like it or you don't.The humour is as dry as an autumn leaf, and thinly served up, so as not to overwhelm. 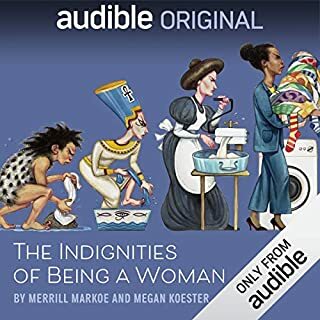 A very good listen. Yes, I'm one of those. Gaiman and Pratchett can't write them fast enough and Adams is currently dead (for tax reasons, I believe). Howard isn't as funny, but he's got dark and ironic down--which is more than enough to stave off the withdraw shakes for another day. And, in all fairness, this is a better showing for an early work than most of Pratchett's first several books. As far as audio goes, Christopher Cazenove does a superb job talking us through this freak show. Johannes Cabal once sold his soul to the devil in return for necromantic knowledge that would propel him towards his goal in the dark arts, only to discover that his soullessness always skews the results of his black scientific experiments. Therefore, he makes a wager with Satan: if he can get 100 people to sign their souls over to the devil within one year, Satan will return Cabal's soul to him. To "help" Cabal, Satan gives him the use of an infernal traveling carnival and a ball of Satanic blood with which to conjure up workers and attractions. The penalty for failure is Cabal's death and damnation. 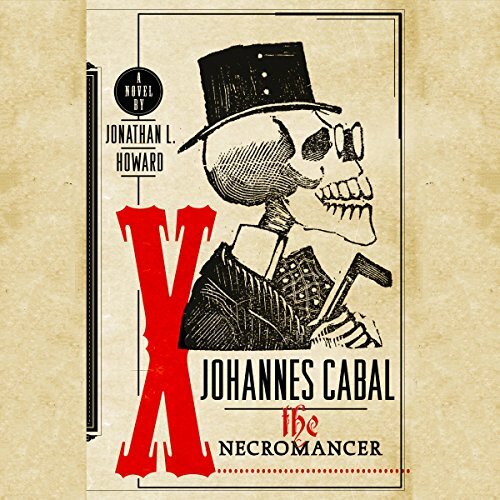 Thus begins Jonathan L. Howard's macabre, humorous, and strangely moving novel Johannes Cabal the Necromancer. 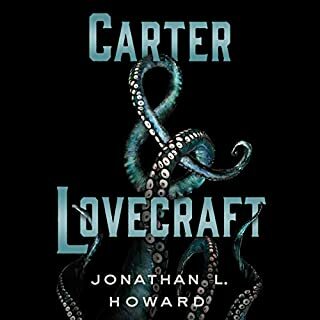 Howard's fresh takes on hellish horror tropes like vampires, ghosts, demons, warlocks, imps, zombies, and Lovecraftian cults, is entertaining. His similes are often funny and original, as when the smoke from the infernal train engine rises up to the sky like the pyres of witches or martyrs. I liked much of the social satire, about, for instance, the insanity of war or men who beat women. Sometimes Howard's jokes and allusions are a bit too contemporary or cheap, as in revealing that Satan created lawyers or as in having Al Capone misspell "venereal" on the form he's trying to fill in to enter hell. 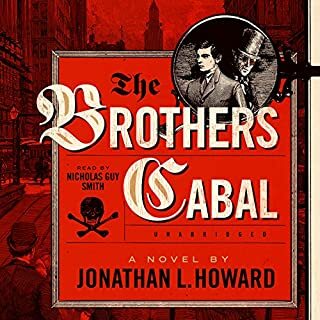 But Cabal is a fascinating anti-hero protagonist, his relationship with his big brother Horst is compelling, and his mysterious reason for being a necromancer is intriguing. And the climax and resolution of the novel are suspenseful and satisfying (though I could have done with a little less of Layla the Latex Lady). Christopher Cazenove marvelously reads the novel (as he does with The Merry Adventures of Robinhood and Peter Pan), with perfect rhythm and clear enunciation and varied voices for different characters, from Cabal's stiff, cold, and slightly Germanic accent through Bones' ingratiating Americanisms and Satan's infernal humor and silk and rage. Fans of Terry Pratchett and Neil Gaiman ought to enjoy this book. One of my favorite books, the best I have 'read' in a long time. Solid plot, A book you can't put down, suspense and sarcasam with a bit of British Humor. A sort of Monty Phyton meets Satan kind of humor, yet dark enough to make you keep the lights on at night ! And Christopher Cazenove is an outstanding reader. Witty from start to finish, with some of the sharpest, most literate dialog in any fantasy. The titular directive not to be fatuous is but one of many erudite retorts from this steampunk smartmouth. 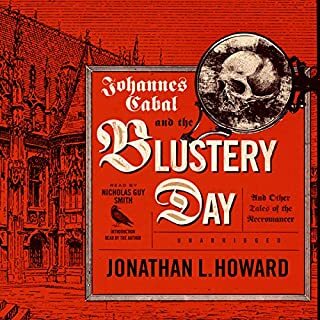 Johannes Cabal is compelling, mordantly funny, and a generally despicable asshat. He also raises and manipulates The Dead, and understandably mistrusts all of creation. Affronted by the earthly fallout from selling his soul to Satan, the arrogant Cabal talks the Devil into a do-over. He then must achieve Lucifer's new ends by operating a janky traveling Carnival, with the marginal assistance of imps, ghouls and freaks. 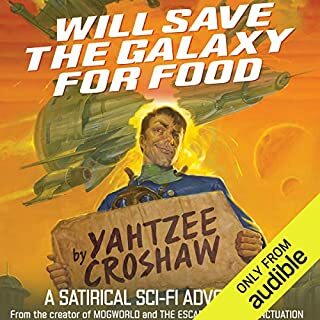 Cognizant of his utter ineptitude at any enterprise close to hospitality, Cabal humbles himself a bit less than the bare minimum required to enlist the aid of the story's unexpected moralist. And we all board his crazy carny train. 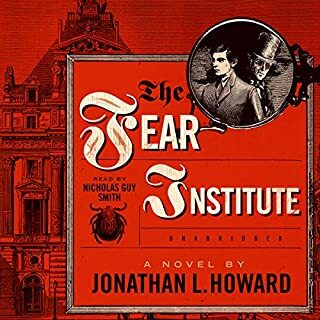 Jonathan Howard manages to keep Cabal a selfish jerk who gets himself out of jams using esoteric texts, mad science skills and an enormous Webley handgun. His wit is decidedly British, with a gloomy, Teutonic pall and creepy, forensic coruscations. If you're well read in fiction, religion (including apocrypha,) science and fantasy, you'll delight in the myriad allusions. There's a lot to love here. I have now heard all the books in this series and the only criticism I have is that the narrator changes through the series. Although Christopher Cazenove is the best of them, fortunately, all are quite competent. 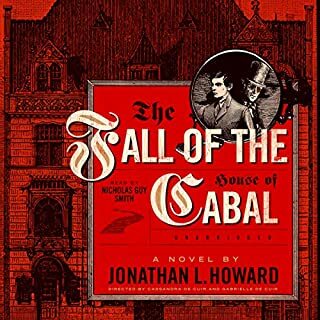 And, since Jonathan L. Howard does not follow the current overly used trend of first person, his third person narrative is not really harmed by the change in narration. It is hard to describe this book or this series that is a fantasy turn on alternate reality with a bit of steampunk, but I found myself completely captivated, thoroughly entertained, and desperate for more. Howard's writing is witty, wry, sardonic, and very clever and his characterizations are brilliant - odd and strangely sympathetic. 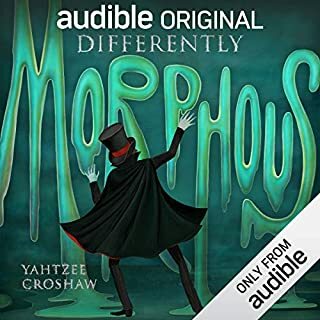 One reviewer aptly compared the tone to "Jonathan Strange and Mr. Norrell", but this is much more fast paced with characters that are ultimately more likable as bits and pieces of the backstory fill in the gaps. This is my favorite type of series - each of the books delivers a satisfying resolution to the immediate conflict with an overarching goal that ties the series together so each book is a credit-worthy experience. Dark and delicious - I can't wait to forget the plot points in the series so I can enjoy it again! If you could sum up Johannes Cabal The Necromancer in three words, what would they be? Which character – as performed by Christopher Cazenove – was your favorite? All of them were very good. Bones was funny because of the American accent. It made me laugh a lot and it moved me in some parts. 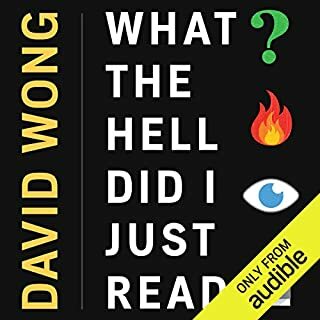 This is such a rich book, made even more enjoyable by the narrator. I plan on listening to it again just because of the writing--it is delightful and intricate. Perfect pitch dark fantasy comedy.Dripping with sarcasm and wit, johannes and his brother weave a great story. Fans of Neil Gaiman, Terry Pratchett will not be disappointed. Howard has created some very memorable character in this unique story of morals on earth and below. 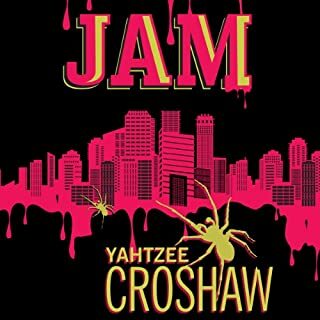 A race against time, brotherly competition and love are all entertainingly intertwined. Listen deeply or on the surface...you'll find whatever you are looking for.